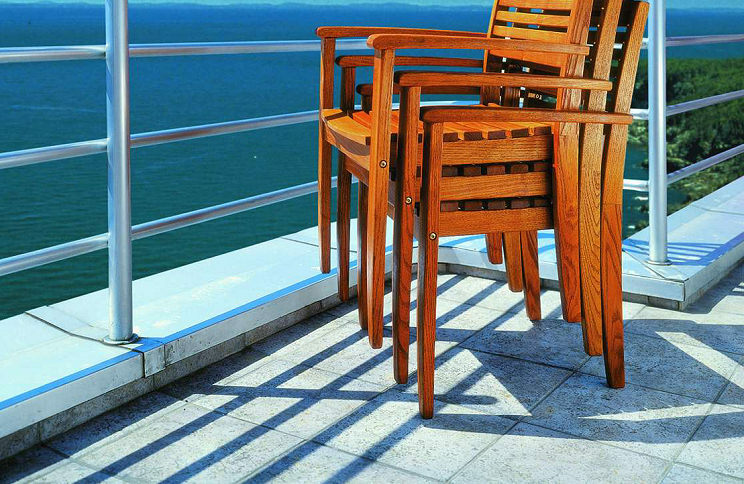 Timeless design, comfort and quality in durable robinia. By matching different tables with the IRIS chairs and bench there are no limits in creating your favourite seat in the garden or patio. Construct with us the most casual of indoor or outdoor spaces for relaxation or dining. Whether a candle-light dinner for two or a party for up to 10 people, the IRIS chairs can be easily stacked at the end of the day. Excellent value for your money.